Thor Motors has been in business for 46 years. 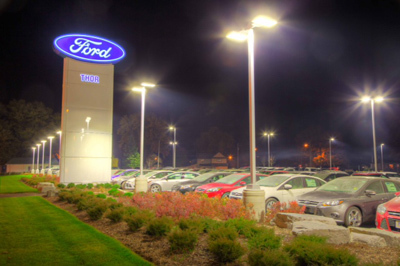 It started in 1961 when the dealership opened as a Ford and Mercury dealership and has never stopped growing. Family values were the foundation for our relationship between customers and the dealership. Thor Motors has been able to achieve this by continually adapting to customers needs as well as having current tools and training, Such tools as SBDS (Service Bay Diagnostic System) and Fordstar which is a satellite based communications network. This allows us to be able to give you the best service possible without pressure.